WATERFORD, CT (April 1, 2016) — Waterford Hotel Group honored Marriott Hartford Downtown with Maintenance Team of the Year Award during the company’s recent Annual Leadership Conference and Awards Celebration. Marriott Hartford Downtown is one of 25 properties professionally managed by Waterford Hotel Group, a national hotel and convention center management company. WATERFORD, CT (April 1, 2016) — Waterford Hotel Group honored Gaby Valentin, Banquet Manager at the DoubleTree by Hilton in Little Rock, AR with the Manager of the Year Award during the company’s recent Annual Leadership Conference and Awards Celebration. The DoubleTree Little Rock is one of 25 properties professionally managed by Waterford Hotel Group, a national hotel and convention center management company. 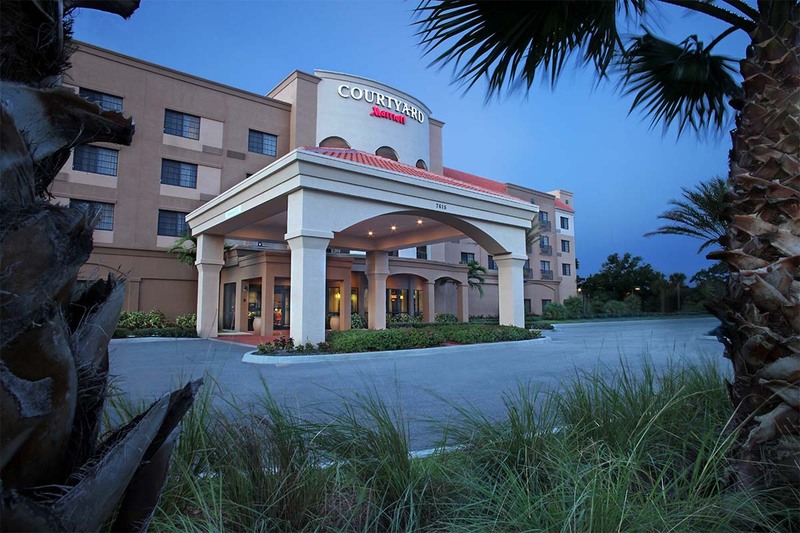 WATERFORD, CT (April 1, 2016) — Waterford Hotel Group honored Courtyard by Marriott in Stuart, FL with the Whatever It Takes Award during the company’s recent Annual Leadership Conference and Awards Celebration. The Courtyard Stuart is one of 25 properties professionally managed by Waterford Hotel Group, a national hotel and convention center management company. WATERFORD, CT (March 31, 2016) — Waterford Hotel Group honored Hilton Hartford in Hartford, CT with the Charitable Excellence Award and Food & Beverage Team of the Year Award during the company’s recent Annual Leadership Conference and Awards Celebration. The Hilton Hartford is one of 25 properties professionally managed by Waterford Hotel Group, a national hotel and convention center management company. WATERFORD, CT (March 31, 2016) — Waterford Hotel Group honored Residence Inn by Marriott in Mystic, CT with the Team of the Year Award during the company’s recent Annual Leadership Conference and Awards Celebration. The Residence Inn Mystic is one of 25 properties professionally managed by Waterford Hotel Group, a national hotel and convention center management company. WATERFORD, CT (March 30, 2016) — Waterford Hotel Group honored Mary Milano, Bookkeeper at the Residence Inn by Marriott in Southington, CT, as Associate of the Year during the company’s recent Annual Leadership Conference and Awards Celebration. The Residence Inn Southington is one of the 25 properties professionally managed by Waterford Hotel Group, a national hotel and convention center management company. Shelton, CT (February 10, 2016) — Nicole Knapik was recently appointed as the new Catering Sales Manager at the Courtyard by Marriott in Shelton, CT. The 161-room hotel is managed by Waterford Hotel Group, a national hotel and convention center management firm. Amherst, MA (February 1, 2016) – The historic Lord Jeffery Inn was recently selected as a 2016 winner in The Knot Best of Weddings, an award chosen annually by real couples, their families and wedding guests using the wedding planning source. The Lord Jeffery Inn was recognized as a top wedding venue. The award is based on a sample of over one million actual reviews assessed by The Knot to determine the best. Only 2% of the 250,000 local wedding professionals listed on the site received the award this year, ranging from venues, musicians, florists, and photographers. This is the 10th year that The Knot has awarded this prestigious acknowledgement and The Lord Jeffery Inn has received this recognition several times. GETTYSBURG, PA (January 18, 2016) — On behalf of the associates at the Gettysburg Hotel, hotel General Manager Chuck Moran recently presented a check in the amount of $500 to James Dunlop, Founder and President of Ruth’s Harvest. Ruth’s Harvest is a food program that provides a backpack of food to elementary school aged children for the weekend. The backpacks are given to Gettysburg children who are eligible for federal free or reduced lunch programs. GETTYSBURG, PA (January 15, 2016) — The associates at the Gettysburg Hotel collected new unwrapped toys and then donated all of the items to the South Central Community Action Programs (SCCAP). The SCCAP is committed to serving the underprivileged in the Gettysburg community.